This is one of my favorite techniques used in classic film. It comes out of nowhere, quite often has absolutely nothing to do with the plot, and features some stunning clothing. Perhaps the best example of this is 1939’s The Women, featuring gowns by Adrian. This movie is a fashion gem to begin with, but the fashion montage in the middle manages to take it to a whole other level. They managed to make it fit into the plot a little, as many of the characters attend a fashion show. We, of course, get to see the fashion show. But that’s not the best part – the entire rest of the movie is in black and white, but the fashion show is in color! Yes, color. There are elegant ball gowns, beautiful suits with elaborate hats. There’s even a jacket that has its own hand attached, for easy opening I suppose. It’s a masterpiece. What I like, too, is that afterwards we get to see a few of the outfits from the show back in the black and white world, and it’s fascinating to see how they translate from the color scene. Another great example of the random fashion montage is from the classic Singin’ in the Rain, with costumes designed by Walter Plunkett. When the studio starts to convert to talking pictures, we get lots of “scenes” from the movies they’re making. One of these is a fashion montage set to music. It starts out with a gentleman singing with a bevy of girls in the same flowy dress. We then transition to a fashion show, narrated by the gentleman. Since the movie is set in the late 1920s, all the clothes are fun 1920s styles. We get to see everything from bathing suits to evening wear, and even a wedding dress. And as soon as the last “Beautiful Girl” has come down to join everyone else, the fictional director yells, “cut” and we go back to the main plot of the film. 1944’s Cover Girl features a montage within a theatrical production. (Another of my favorite plot devices – the random, not at all connected musical numbers in a “show-within-a-movie” that make no sense when put together, but are great stand-alones.) In Cover Girl, the lead girl, Rusty (Rita Hayworth), gets the lead in a big Broadway show. There’s a musical number in it in which several women parade through as magazine covers come to life. 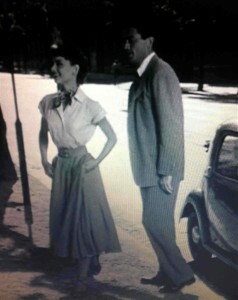 It’s a great montage, because it features an example of just about every type of 1940s fashion. There are smart suits, elegant evening gowns, bathing suits, dresses with floral accents, even uniforms. 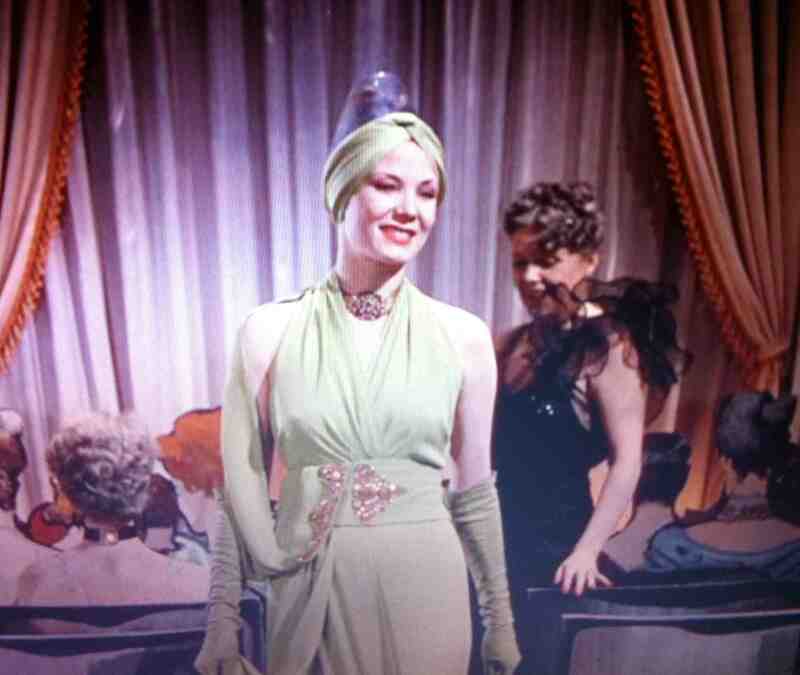 And all of that is before Hayworth comes down the ramp in her beautiful gold gown. 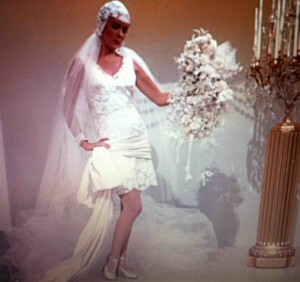 *The costumes for Cover Girl were designed by Travis Banton, Muriel King, & Gwen Wakeling. 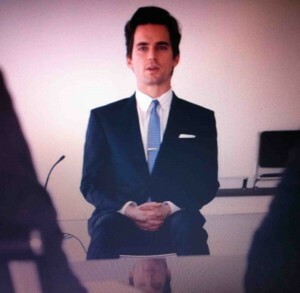 Being set in a 1960s ad agency, there are, of course, a lot of suits. Don Draper is almost always dressed impeccably. The well-tailored suits, the fedoras, the beautiful overcoats. It was an era when almost all men wore suits to the office every day, and Bryant has done an excellent job of recreating that vibe for the men. As the show has progressed through the 1960s, the creative department of the agency has gotten more casual. 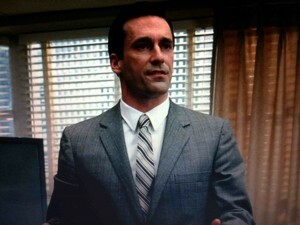 Sterling Cooper Draper Pryce has a couple of gentlemen who have never worn a full suit to work. Stan usually even skips a jacket and opts for more polo shirts and sweaters. And then there are the women’s costumes! What a gorgeous display. Each of the main female characters has her own distinct style. 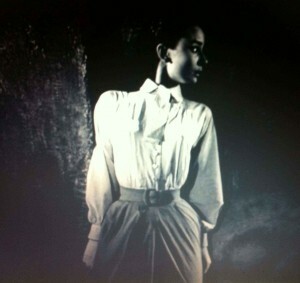 Joan has always worn clothes with a tighter, sleeker silhouette to accentuate her curves. Her style has actually not evolved that much over the years. While her ensembles are consistently beautiful, I think it symbolizes in part Joan’s desire to hold onto the effortlessness with which she attracted men just a few years back. She hasn’t quite made the transition to the more stylish dresses many of the other women at the office are wearing. Peggy, on the other hand, has evolved quite a bit in her style. She started out as a mousy secretary, and her clothing reflected that. Her dresses were almost little girl-ish, and so was her hair. As she moved up at the agency, she seemed to become more interested in her clothing. She got some advice, cut her hair, moved on to more fashionable dresses. 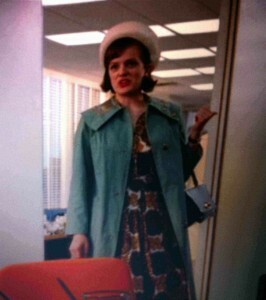 By last season (4), she had quite a few cute suits and hats. I have noticed, though, that this season she seems to have regressed a bit – she’s back to some of her earlier, plainer blouse and skirt combos. Perhaps it was an outward sign that she has seemed to have a little less confidence this season? Megan has been very interesting to watch in season 5. 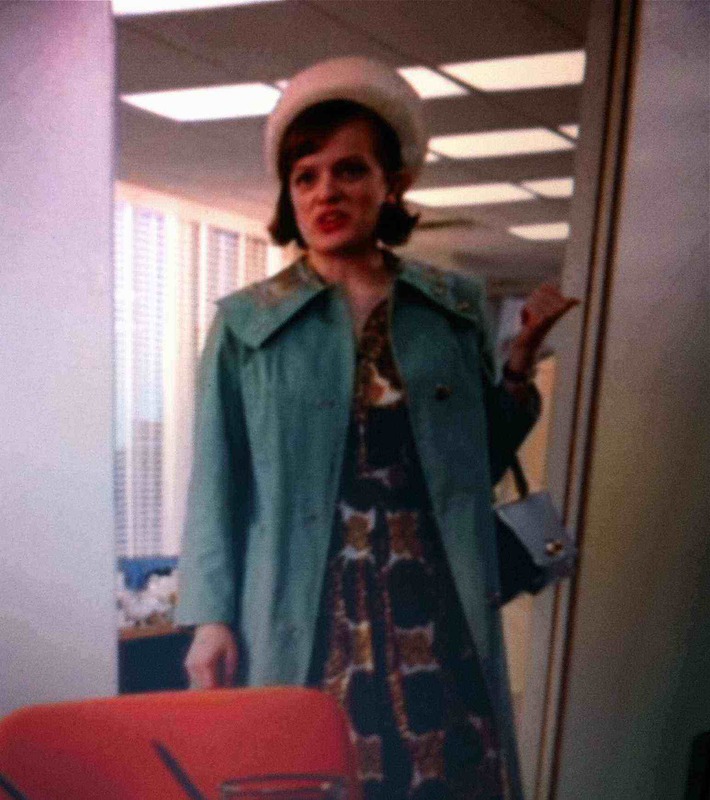 She is perhaps the most fashion-forward character on the show, and she’s had some beautiful and fun ensembles. When she and Don go out for an evening, she quite often has some sort of exquisite beading on her dress. Most of her dresses also reflect the shorter length that was becoming popular as the 1960s charged on. They’re quite a contrast to the dresses Betty wore when she was married to Don. Quite often they had fuller skirts, or if they didn’t, they were floor length. She tended to wear a lot of pastels as well, whereas Megan leans toward brighter, more saturated colors. I know I’ve only highlighted a few characters, but every single outfit on the show, even those worn by the extras, is remarkable. Bryant pays great attention to detail, so the hats and accessories are always fun to look at too. And while most of the show takes place in the office, occasionally we get to see that more formal event, with gorgeous evening gowns and gloves, and fancy French twist hairstyles. I’ve worked with many directors, but there is one I have worked with on seventeen productions (and counting), and every collaboration has been a pleasure. He gives me a great deal of artistic freedom, and I’ve had some of my biggest design challenges and created some of my favorite looks while working with him. Because of these great experiences, I always love hearing about other great collaborations between designers and actors, writers, or directors. One of my favorites is the relationship between Carol Burnett and legendary designer Bob Mackie on her classic variety show. They both tell some great stories about the work they did together. As a designer, it’s inspiring to hear how much a part of the creation of comedy Mackie was. He and Burnett fed off each other – she asked him to create some iconic and fun costumes, and he helped create some of her most beloved characters and hilarious moments. Probably the most iconic example of this came from the classic Gone with the Wind spoof. In the movie, Scarlett O’Hara, in a cash-strapped moment, memorably wears a dress and hat made from old draperies and mostly passes the ensemble off as the height of new fashion. 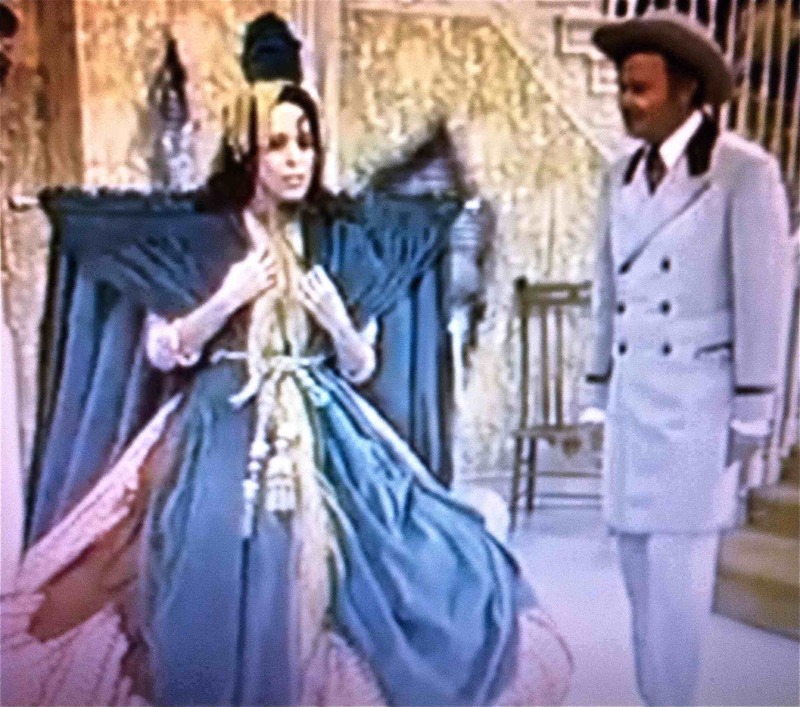 On The Carol Burnett Show, Burnett’s version of Scarlett has a similar moment where she decides to use the curtains, but Burnett wanted to make it look ridiculous. It was Mackie’s idea to leave the curtain rod in the curtains, cementing Burnett’s entrance and descent down the stairs in comedy history. I’ve seen it many times now, and it never fails to make me laugh. 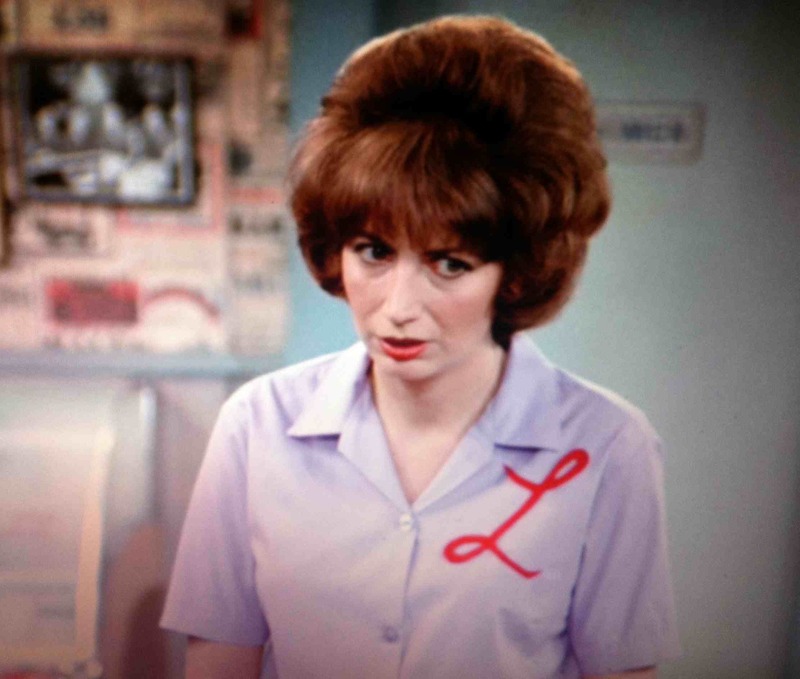 Mackie also helped create a unique character trait for Burnett’s dizzy secretary, Mrs. Wiggins. 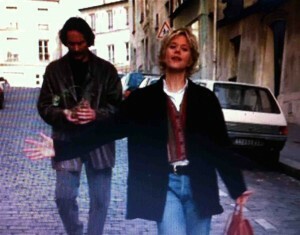 One of the many comical things about her was her walk. The skirt Mackie made for her was a little too tight, but by hiking it up in just the right places, it fit. And because of the way it fit, Burnett ended up walking with her behind sticking out a bit. One of the things people remember most about those sketches was the hysterical way Burnett would walk from her desk to her boss’ office, all the result of the costume’s fit. There were so many more memorable looks. Burnett’s imitation of Norma Desmond was sequined, feathered, and over-the-top. 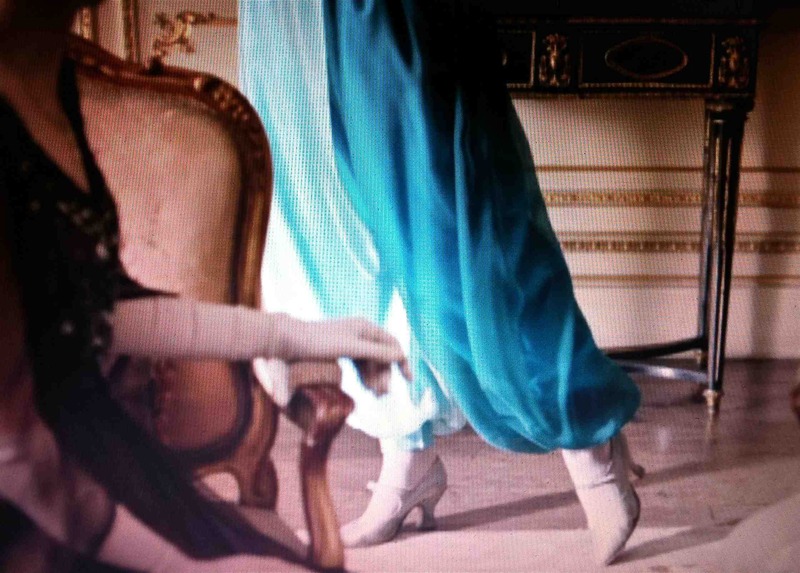 And who can forget Charo’s mother, with her spangled bell-bottom pants and low, swinging tennis ball “bosoms”? The list goes on and on. And they’re all priceless. On The Carol Burnett Show, the costumes were always important, which is part of the reason I love watching it. You can really see how the costumes play a part in the humor, and the stories of Burnett’s and Mackie’s wonderful collaboration back that up, in addition to demonstrating how a strong relationship between actor and designer can create magic. I want to take a few minutes to talk about my favorite costumes currently on television – the stunning Downton Abbey, currently in its second season on PBS here in the States. Entertainment Weekly called it “costume crack” and I couldn’t agree more. The series has been absolutely beautiful to watch. 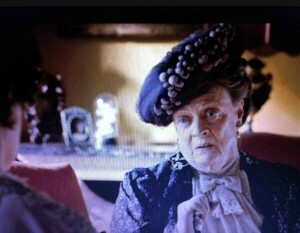 What’s great about Downton is the variety we get to see. The series started in 1912, and so far has taken us up to the end of World War I in 1919. There are the upstairs residents and the staff, and several generations, as well as civilians and soldiers. It’s been particularly interesting this season, as the characters have dealt with war, to watch the evolution of their costumes. Many of the men, of course, have transitioned to uniforms. Lady Sybil became a nurse, so she wears a uniform more often than her beautiful dinner gowns. I have noticed, too, that many of the ladies are also recycling their dinner gowns more than they used to, which is good, in a way, because it gives us in the audience more chance to admire them! And they are admirable. I love looking at the intricate beadwork and fancy fabrics, plus all the gorgeous jewelry – the dangling earrings and lovely necklaces that always seem to match the gowns so perfectly. The dress styles have been evolving slightly as well. The hemlines have gotten a bit shorter, and the silhouettes a bit slimmer, since the beginning of season one. 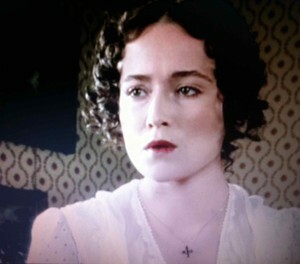 I enjoyed the memorable scene from the first season when Lady Sybil ventured out and tried the new style of (gasp!) flowy pants for dinner, and of course faced the ire of her conservative grandmother. The daytime clothes are pretty remarkable as well. 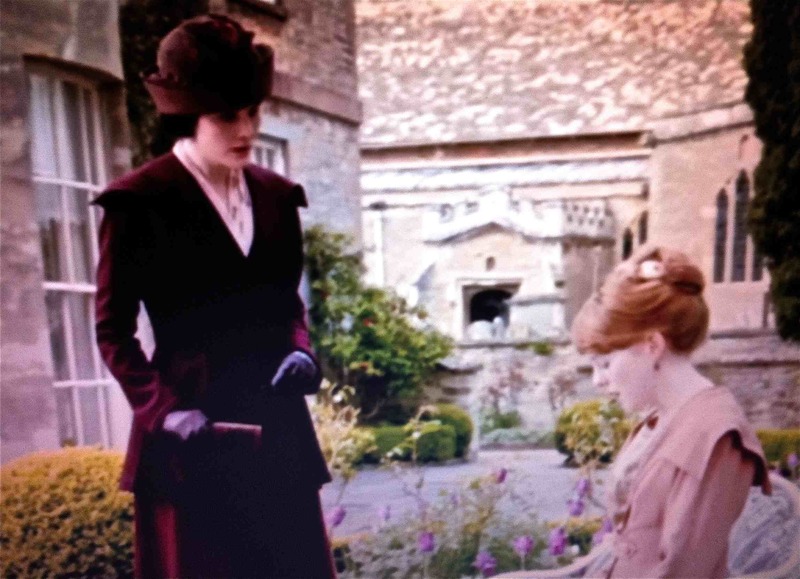 In season two, Lady Mary has been wearing a beautiful red coat and matching hat. As the time period moves closer to the 1920s, we’re seeing a lot more close fitting, cloche style hats. They’re all in beautiful vibrant colors, and look like they’re so much fun to wear. And of course, there are still the more traditional hats, mostly on the Dowager Countess, played expertly by Maggie Smith. Hers are always over the top, with big feathers and flowers and other assorted plumage that she just wouldn’t be the same without. If you haven’t had the chance to watch Downton Abbey yet, be sure to check it out before it finishes its current run in the next few weeks. It really is a feast for the eyes. *The costume designer for Downton Abbey’s first and part of its second season was Susannah Buxton, and the remainder of the second season was designed by Rosalind Ebbutt. As a designer and a fashion lover, I have always had a deep appreciation for a beautiful shoe. 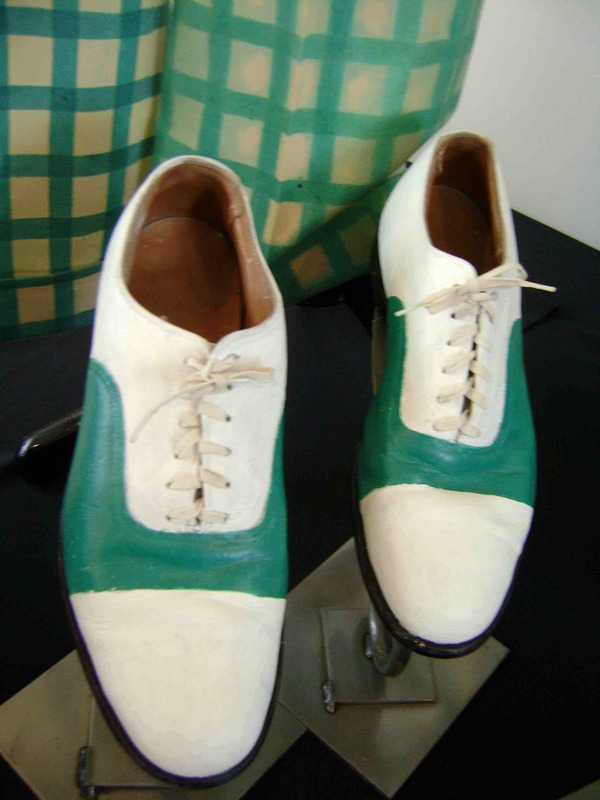 I have also always been fascinated by dance shoes in particular. And classic musicals are a feast for the eyes when it comes to dance shoes. When you see dance (other than ballet) on film today, quite often you see a variation on the ballroom dance shoe. Many of the styles would seem right at home on Dancing with the Stars. And don’t get me wrong, ballroom shoes are gorgeous. I have often been tempted to get a pair for myself, even though I am not a dancer. But the classic musicals seem to have had a lot more variety. These don't have an ankle strap like Vera-Ellen frequently wore, but they're some of my favorites of hers. One final side note on heel height. I always find it fascinating to look at the height of the women’s shoes in classic musicals, particularly when they’re dancing with a partner. You can often tell that a gentleman must have been on the short side when an actress (especially one you’ve seen in higher heels for a different number) suddenly appears in flats or very low heels. I’m sure that could have been due to injuries from time to time, but usually it was a trick to even out a significant height difference. It did happen when women were paired together too – Rosemary Clooney was 2 inches taller than Vera-Ellen, but in the “Sisters” number in White Christmas they appear to be the exact same height. If you look closely, you can see that, even though they’re technically wearing matching shoes, the heels on Rosemary’s are just a little bit shorter. And, of course, I haven’t even touched on classic movie ballet shoes, and all the beautiful colors and fabrics designers used to make them. I could do another whole post about that… Maybe I will – stay tuned! In film and television, as in life, people occasionally attempt to make their own clothes. Sometimes their efforts are brilliant, but sometimes they are far from it. I’ll start with the impressive. And then, of course, there are the sewing-challenged, whose valiant efforts can yield great comic moments. One of my favorites is from a true comedy legend, Lucille Ball. On I Love Lucy, Lucy tires to save money by making her own dress. Her problems begin when, after finding manicure scissors inadequate, she cuts out her fabric with a razor blade. One ruined carpet later, she has her pieces cut out and must figure out how to work a sewing machine. In classic Lucy fashion, the results are far from perfect. Ethel’s response says it all: “It looks like you made it with your own two feet.” It really is a mess of a dress, but you can’t help feeling sorry for Lucy at the same time. As any beginning sewer can tell you, it can be pretty intimidating! Another of my favorite fashion attempts gone wrong is from yet another classic sitcom, The Cosby Show. In another effort to save money, Denise offers to recreate a designer shirt for her brother, Theo, so that he can look cool. The result is a hilariously ill-fitting, bright yellow shirt, complete with sleeves of different lengths. Theo is furious, until people see him and label him as fashion-forward. All is then, of course, forgiven. I always find these DIY fashionistas entertaining, whether or not they’re successful. And they certainly get credit for at least trying. 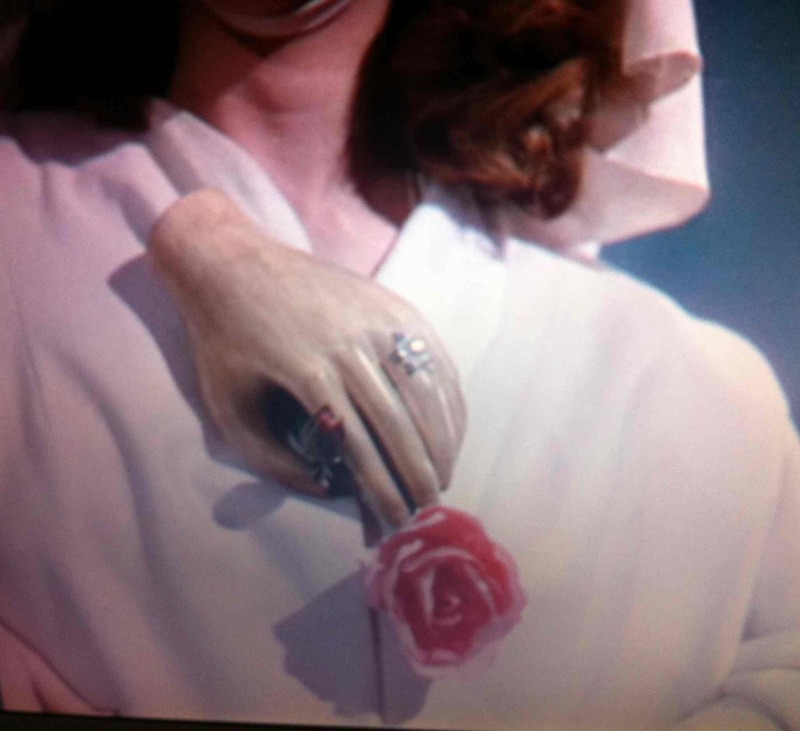 I also applaud the costume designers, particularly where the end result had to be so wrong. It’s not easy to make a flawless garment, but it’s not a cinch to make something terrible on purpose either. Although I imagine it’s probably a lot of fun. 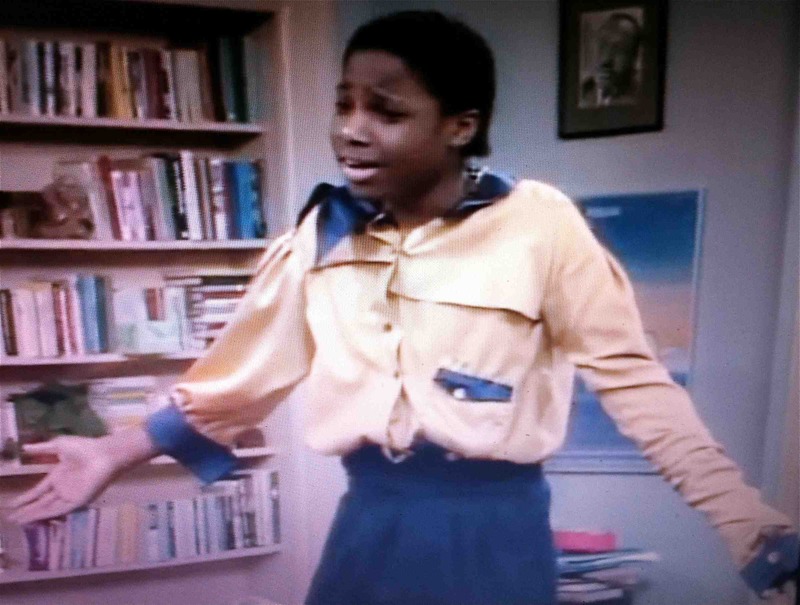 *Enchanted’s costume designer was Mona May; The Cosby Show’s was Sarah Lemire. 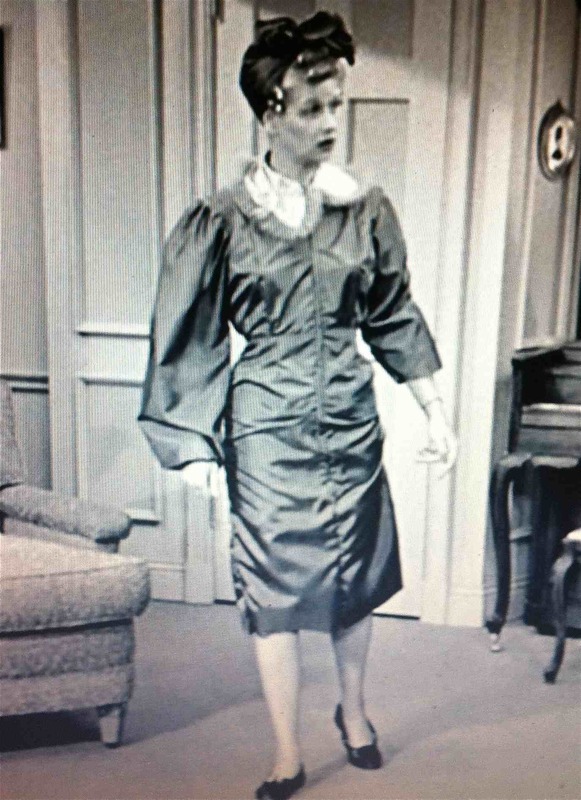 This particular episode of I Love Lucy does not list a costume/wardrobe credit. Jane Austen’s Pride & Prejudice is one of my all-time favorite books, and I’m equally enamored with two of its screen adaptations. Having seen the 1995 BBC version shortly after reading the book for the first time, that production will always hold a special place in my heart. (And Colin Firth will always be Mr. Darcy to me.) But I also greatly enjoyed the film version from a few years back starring Keira Knightley and Matthew Macfadyen. 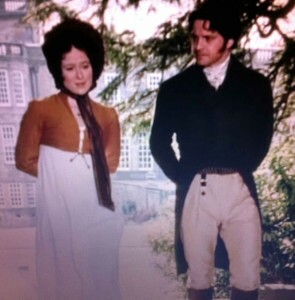 From a costume perspective, both versions are stunning (and traditional Austen), though different in their approach. The BBC version is crisp and beautiful. The women mostly stick to pale, neutral shades in their empire-waisted gowns. The Bennett sisters have their varying degrees of style, with the elder two displaying a hint more maturity, and the younger girls appearing slightly more disheveled. Mary, shy and in the middle, tends toward more drab styles and colors than her more social sisters. I love, too, that the older sisters, Jane and Elizabeth, have jeweled cross necklaces that they wear throughout most of the film. Each of them has a piece that means something to them, where the younger girls have a more disposable attitude toward their fashion. The real exception to the women’s color palette comes from those of the slightly higher classes, like Lady Catherine and the Bingley sisters. Caroline Bingley primarily wears jewel tones in richer fabrics that look like they might have been imported from somewhere like India. She also has much more elaborate hats and even gets to wear some turbans, making her look even taller. 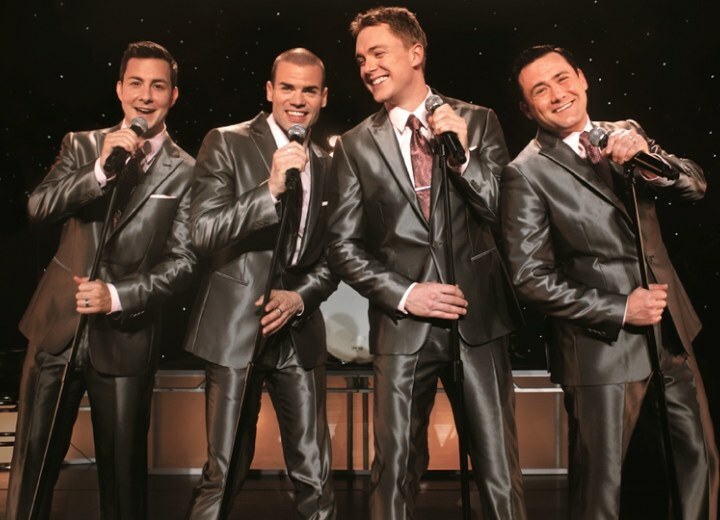 The men in this version are also well dressed. The officers wear dashing bright red uniforms, and the gentry the traditional tailcoats and cravats. And, of course, one well-placed white shirt, combined with a lake, has made Colin Firth infamous for nearly two decades. Director Joe Wright’s more recent adaptation differs slightly from the BBC. In this one, the costumes have a slightly more earthy, realistic feel to them. While Mr. Bennett is a gentleman, he and his family are not the richest of people, and their clothes reflect that a little more in this film. We can see more of the everyday wear and tear, and the designer used more coarse fabrics for their casual daytime dresses and coats. Their ball and party gowns, however, are still stunning, and provide evidence of where the characters seemed to have splurged a little. In this adaptation, Caroline Bingley stands out more by the style of her dresses than the colors, as they seem a little more daring, and even at times, almost more modern. Both films are a feast for the eyes, and it’s fun to compare the costume styles of each. But even as different as they are, each one captures the spirit of Austen’s characters in its own way. *The 1995 BBC production featured costumes designed by Dinah Collin, and the 2005 film’s costume designer was Jacqueline Durran.